They are coming to the Shanghai and Frankfurt Motor Shows this year. 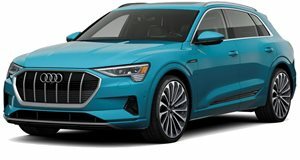 Audi has been introducing a wave of new models over the past two years and with the big push towards electrification across all platforms this is unlikely to abate anytime soon. 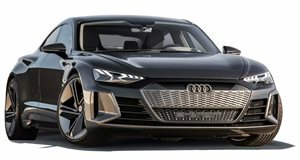 There have been a number of interesting concept vehicles along the way too, Audi design boss, Marc Lichte, confirmed to UK publication Autocar that they would introduce two further concept cars this year, one at the Shanghai Motor Show in April and another at the Frankfurt Motor Show in September. Lichte explained that while concepts like the e-tron GT and Q4 e-tron are essentially examples of the next-generation of Audi models, they also experimented with designs like the Aicon which were more a glimpse into what their vehicles could look like 10 to 15 years in the future. The two concepts coming for 2019 will be of the latter variety, "In Shanghai, there will be a vision for a battery electric vehicle of 10 years’ time. But it will also show what the broader next step for design will be.” Said Lichte. This concept will also provide some insight into how a vehicle’s interior will be transformed in the future. With today’s most advanced models promising Level 3 autonomy, the Shanghai concept will be examining how Level 4 autonomy influences the design and what an interior will look like with and without a steering wheel. No further information was provided regarding the second concept but we expect it to showcase technologies that are only now in the early concept phase. That means a vehicle that will most likely be fully-electric as most of Audi’s (and the VW Group's) existing models will feature at least some form of electrification well before these concepts will be turned into viable production models.